Storing files in the cloud is very convenient, but understandably, if they contain extremely sensitive information -- such as trade secrets -- you may not want to transmit them over the internet. For this, locally stored data is probably a better move. Of course, if possible, you should encrypt the storage drive. Encryption may even be required as a result of new laws and regulations such as California's Consumer Privacy Act and GDPR. Software-based encryption for storage drives is better than nothing, but hardware-based is obviously superior. 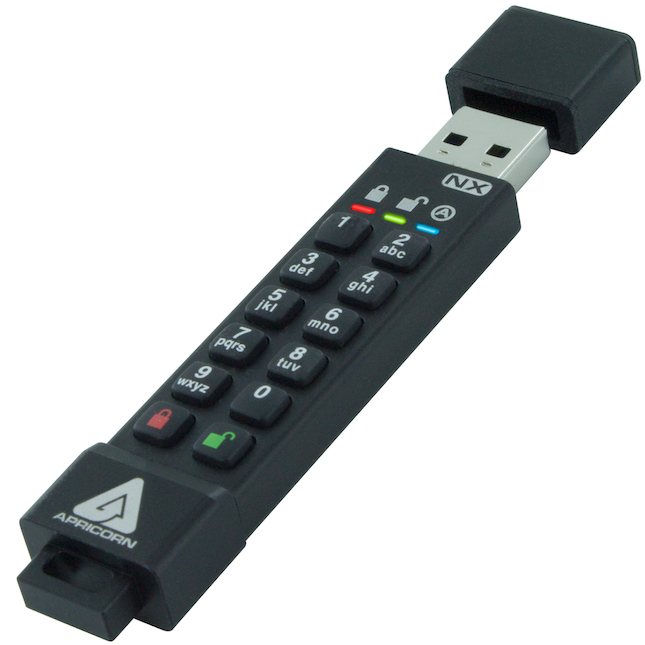 Apricorn has been producing hardware-encrypted USB drives for a while now, and they are very well respected. Today, the company unveils its latest such drive. Called "Aegis Secure Key 3NX," it uses 256-bit AES XTS hardware-encryption -- FIPS 140-2 Level 3 validation is pending. The successor to the well-received Secure Key 3z features a convenient keypad, making it easy to lock and unlock when needed. "In addition to operating 25 percent cooler than its predecessor, the 3NX includes a patent pending RM / FD toggle feature that allows the user to configure the device as Removeable Media or Fixed Disk. Combined with the 3NX's embedded keypad, the 3NX is compatible with embedded systems that only recognize Removeable Media storage devices (e.g. instrumentation, radios or other equipment that typically lacks a keyboard and precludes the use of devices that employ software in the authentication process)," says Apricorn. The company further says, "Designed for high volume corporate deployments, the Aegis Secure Key 3NX has the same comprehensive feature set as the Secure Key 3z, plus a broader range of capacities from 2GB to 128GB. 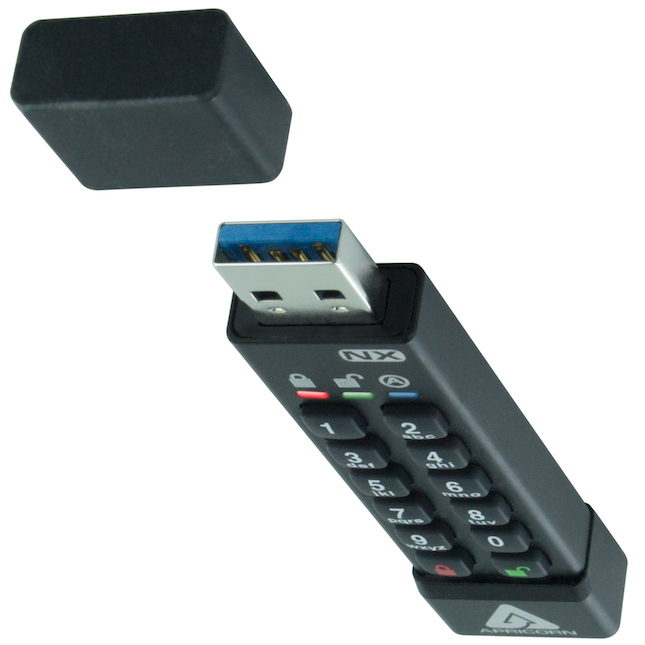 Other standard features include onboard keypad authentication, 256-bit AES XTS hardware encryption, complete cross-platform compatibility, read-only option, separate admin and user access, data recovery PINs, programmable PIN lengths, and Aegis Configurator compatibility." Apricorn shares the following features and benefits of the Aegis Secure Key 3NX. If you want to buy your own Aegis Secure Key 3NX , it can be had here in the following capacities. The drive will begin shipping next week. Please note: Currently, both the 2GB and 4GB models are showing to be the same price -- likely a mistake. We have reached out to Apricorn for clarification. Best of all, since the encryption is done on the hardware level, Aegis Secure Key 3NX is compatible with all operating systems, including Windows, macOS, and Linux-based distros such as Ubuntu, Fedora, and Zorin OS. This is very much appreciated, especially in light of recent Dropbox news.